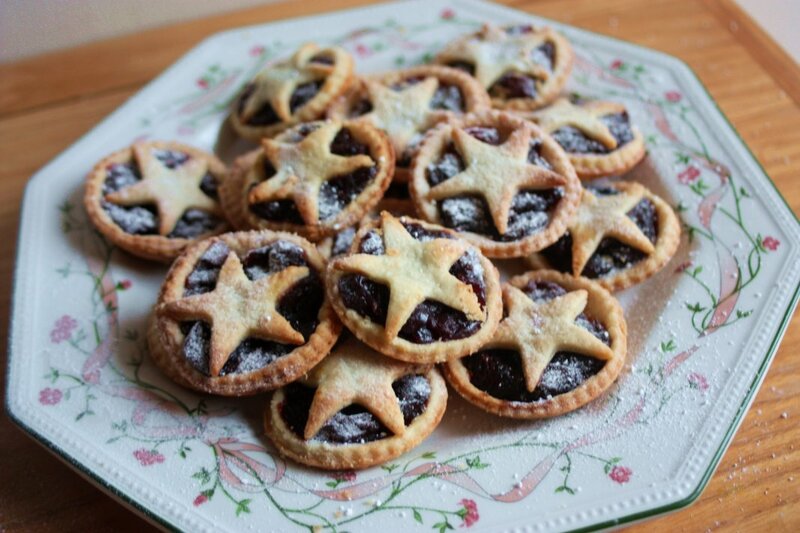 I think it’s time for an update on those cranberry mince pies I made 3 years ago. This is the mincemeat I’ve used for the past few years and nothing will persuade me to part from it (yet! ), but I have grown out of the phase where I think public figures are infallible, their creations and ideas unimpeachable. In other words, I have tweaked Nigella’s recipe to fit my own tastes. I don’t usually have any butter or cream with my pies so I wanted something just that little bit sweeter to eat alone. I’m quite happy with the results this time round–it was terribly easy to eat one after another. If you want something different from the usual mincemeat that is also vegetarian and alcohol-free, consider trying this. It’s richly spiced with a balanced sweetness and tang – distinct enough to stand on its own merits rather than be a paltry substitute. The fresh cranberries and dried fruits make for a good texture, I think: dense yet yielding, none of that strange, challenging goo. I’ve halved the amounts and pared down the ingredients list a little but feel free to substitute to fit your needs. This makes enough for about 12 – 18 mince pies depending on the size of your cutters/trays. Mine were about 2 inches (5 cm) across the top. I would recommend not going over 1 – 1 1/2 teaspoons mincemeat per pie, it’s a very intense filling, just cover the base of the pastry cases. Makes ~175g mincemeat; a smallish jar enough for 12 – 18 mince pies depending on size. Easily scaled up if you wish; in the UK, cranberries generally come in 300g bags. Keeps for a week or two, very well sealed in the refrigerator. This isn’t something which keeps quite as well as traditional mincemeat, but can still be made in advance. In a small saucepan over a medium heat, dissolve the brown sugar into the grape juice. Add the fresh cranberries, cinnamon, mixed spice, all of the dried fruits, and the zest and juice of the clementine. Bring to a moderate simmer and cook for 10 minutes, stirring and pressing gently until the fresh cranberries have burst and the mixture is a fragrant, thick, coarse paste with only a little liquid left. Off the heat, stir in the vanilla extract. Taste the mincemeat; if it is not sweet enough, mix in honey by the spoonful and taste until it’s just right to you. Store in a very clean jar. Once cool, refrigerate for up to 2 weeks. For the pastry itself, I’d echo Felicity Cloake’s recommendation of using crumbly shortcrust with added ground almonds. But if you enjoy tender, flaky pastry, then Nigella’s original would be right for you. Mix the plain flour, ground almonds, and salt. Working quickly with either cool hands or a pastry blender, add the cold butter to the flour and combine, rubbing or cutting until the mixture resembles fine breadcrumbs. If anything feels sticky or warm, rinse your hands in cold water and stick the pastry bowl in the fridge for 10 minutes before continuing. Bind the pastry using either orange juice or water, gradually sprinkling it over 1 tablespoon at a time, mixing very well with a round-bladed knife until it all just clumps together. Press it together into a ball, wrap and chill for 1 hour. Use as directed. 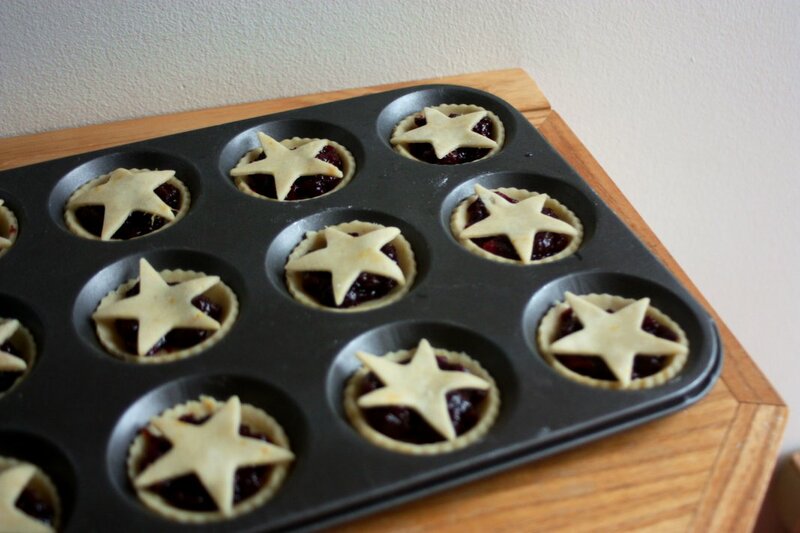 Those are so cute, and the cranberry mince sounds wonderful. I’ve just made this recipe with red wine instead of grape juice – wonderful! Hi Judy! You know, I was wondering if this recipe would be alright if people made it with proper alcohol, thank you for letting us know it turned out well, I’m very glad to hear it. Hi – can the fresh cranberries be replaced with dried – as I cant buy fresh where I am living? Hello Emily, I’m sure you could! It might affect sweetness, texture, and moisture. You might want a bit more liquid to help hydrate the higher proportion of dried fruit, and be particularly careful with sweetening the mixture since dried cranberries (at least the ones I’ve eaten that are commonly available in supermarkets) are much sweeter than fresh. I’m so grateful for this wonderful recipe. It makes a fabulous alcohol-free mincemeat for mince pies. It’s really delicious. My son went alcohol free 4 years ago- so proud of him- and it is brilliant to offer delicious alternatives that are just as wonderful as the ones with alcohol. Big thank you.